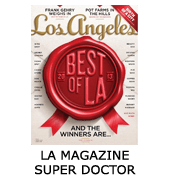 Hernia research at California Hernia Specialists is an important part of improving a patients initial experience at the time of their surgery as well as their long term results. 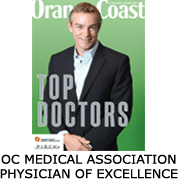 Due to his volume of research, Dr. Harris has been asked to speak at national hernia conferences to provide tips and tricks in hernia repairs for other surgeons. We hope that by reading some of the information below, you can understand what projects we are involved with. Participating in research is optional for all of our patients, but does not change the treatment we recommend (all treatments are part of the hernia collaborative) and requires no extra tests or steps in your evaluation and treatment. 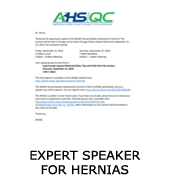 Dr. Harris was invited to speak at the Americas Hernia Society Quality Collaborative Improvement Summit as a national leading expert in laparoscopic inguinal hernia repairs. His volume of surgeries allows him to provide a significant amount of data to the collaborative to help drive guiding policies and procedures. His expertise in this type of surgery was recognized by the AHSQC and he was asked to share his experiences with the international guests for the summit. 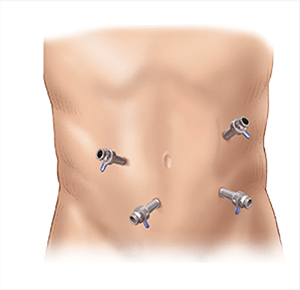 He is one of the leading hernia surgeons in a number of different areas including laparoscopic hernia repairs. 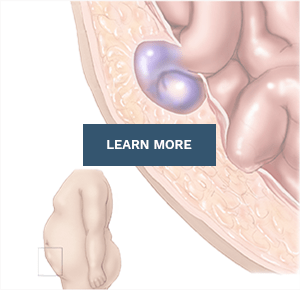 One of the largest hernia research studies currently being conducted is being sponsored by the Americas Hernia Society. This broad reaching organization has brought together over a hundred surgeons across the United States to study how patients do after hernia surgery. 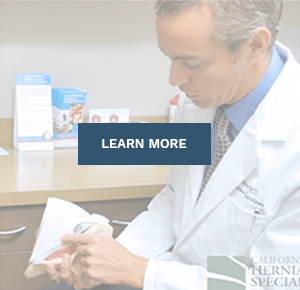 California Hernia Specialists is one of the centers in California involved with the study and is one of the highest volume private medical practices which is enrolled. 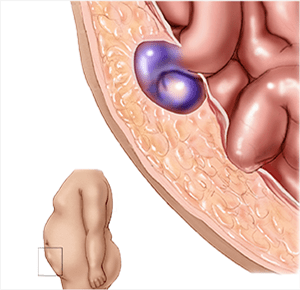 The study examines patients with all types of hernias including inguinal, umbilical and ventral and incisional hernias. The collaborative research study collects data from any technique of hernia repair for these types of hernias and therefore participation doesn’t interfere with the type of surgery which is offered and performed. Patient data is entered into a worldwide database by California Hernia Specialists after the surgery is completed. This data is then used to compile outcomes with other centers to determine the best approach for that specific type of hernia and patient. Patients often want to know what their involvement is with research being done at California Hernia Specialists. The first important point is that hernia research is voluntary. This means that if a patient wishes to not participate in any of the studies that are being done, they are not obligated to do so. Patients who do wish to be involved in advancing hernia care, are required to provide an email address. This email address is entered into the AHSQC database after the surgery is completed. The AHSQC then sends an email to the patient with a form about how they felt before the hernia surgery. The same forms are sent to patients at specific intervals after the surgery to check on recovery, and the long term success (or failure) of the surgery itself. 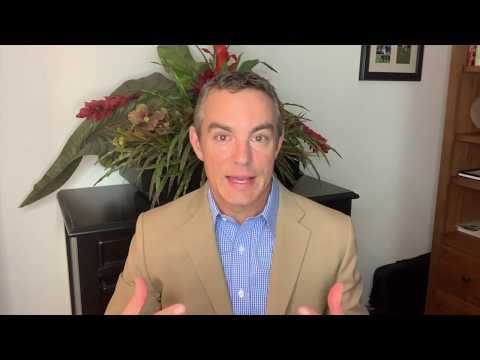 No surgeon today has all the answers to which surgery is the best for every different patient. This goes for hernia surgeons, as well as cancer surgeons, brain surgeons, trauma surgeons, etc. The only way medicine in general will advance is to participate in the latest research. Today’s patients benefit extensively from the active role that patients 10 and 20 years ago took in the long term goals of medicine. 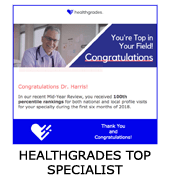 Cutting edge technology and technique: By participating in research, Dr. Harris is constantly in touch with the most up to date data on hernia surgery. This of course translates into better care for all of our patients. 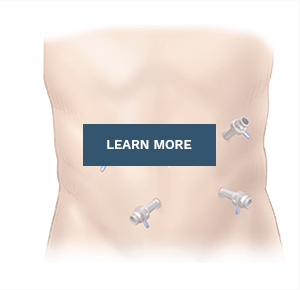 Advancing medicine: Patients are able to contribute to the advancement of hernia surgery. Without individual patients’ participation, no research studies would ever be completed. Patients are the most important aspect of the research team. It’s Free! Although California Hernia Specialists provides financial resources for the research it performs, it is obviously free to patients. All that is required is time to complete an occasional survey from AHSQC. All data is confidential: All patient information is 100% confidential. No names, birth dates, or other identifying information will be published or released. Your contact information is all that is required for participation. Any studies that are published in the future will certainly not have any reference to individual participants. The following are the surveys that we ask patients to complete in the office before their surgery and at their follow up.